For as long as Prudence can remember, it has been understood that her sister will one day wed the eldest son of their nearest neighbor. Such an alliance will benefit both families and bring a great deal of joy to all parents involved. Unfortunately, Prudence has never been able to feel as joyful. 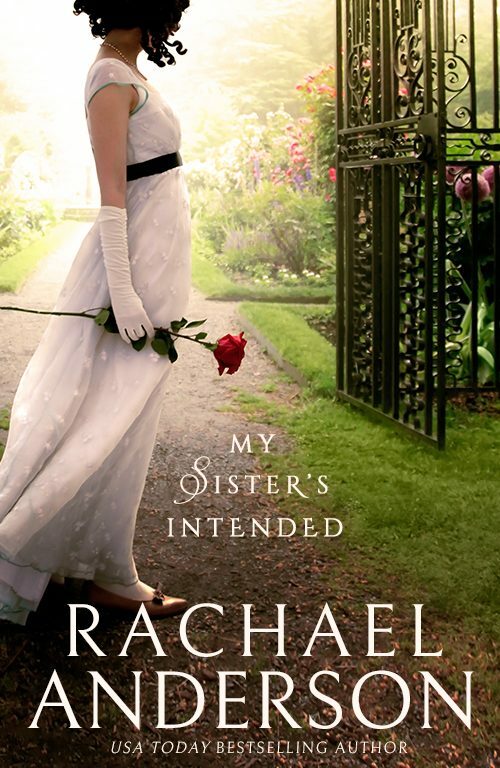 She believes her sister is mad to consider marrying a man she hardly knows, even if he will one day make her a countess. Titles and wealth shouldn’t factor into matters of the heart, and as an aspiring romance novelist, Prudence cannot fathom how anyone could even think of settling for less than love. She certainly wouldn’t, and she doesn’t want her sister to either. Unable to stand by and do nothing, Prudence sets out to help the awkward couple discover the best in each other with the hope that they will eventually find love. What she neglected to foresee, however, was the possibility that she might fall in love with Lord Knave herself. A large lump formed in Brand’s throat, and his mouth went dry. What the deuce? She had promised not to ask questions that would make him uncomfortable, but already he wanted to flee like a frightened kitten. How could he possibly explain how it felt to kiss a woman? Brand searched his mind for a way to avoid answering until he heard a snicker escape her lips. She was laughing at him. Him! Hildebrand Ethan Cannon, Viscount Knave—a man at least eight years her senior and a great deal higher in social standing. “You are teasing me,” he said, hoping it was true. If she’d posed the question to make him squirm—and perhaps make him more inclined to answer her other questions—then she wouldn’t be expecting an answer. If she thought he’d appeared terror-stricken before, there would be no word for how he looked now. Did she earnestly expect him to answer such questions? Surely even she knew how inappropriate it would be to discuss such things, her being an innocent. “I cannot say,” he finally muttered. Brand was sorely tempted to lie and say he had not, but he couldn’t bring himself to do so. Any man of six-and-twenty who had never experienced a kiss would be laughed out of his manhood. Women were expected to remain innocent until married. Men were not. Too late, Brand realized his mistake. Her expression became contemplative, as though she was actually considering doing just that. Good gads, had he really just encouraged an innocent young woman to go hunting for a kiss? Who would she ask? A groom? Stablehand? The next peddler that came to town? Kind enough? Brand could think of a great many reasons a footman would comply with such a request, and kindness did not factor into any of them. Brand would kiss her himself before he allowed a footman near her. He rubbed the bridge of his nose, feeling a headache coming on. “Perhaps I can try to explain what it feels like after all.” Better that than having her chase after a footman. It was plain to see by the firm set of her jaw that she would not rest until she had experienced a kiss of her own. She didn’t seem to care who did the deed, only that the man did a thorough job of it. A quick peck on the lips wouldn’t satisfy her curiosities. “Devil take it,” Brand growled as he pulled her to him. Her quick intake of breath was the only sound she made before his mouth covered hers. This was another fun, perfect read by Rachael Anderson. Prudence is a fun, witty and headstrong character, intent on finding happiness for her sister. She gets to know the charming Lord Knave in an unusual way, and develops a strong friendship with him. One that soon turns into more than just a friendship. Both struggle to deal with the implications of their relationship, set on making the best match for Prudence’s sister, and keeping the families happy. I loved reading this book. It offered a wonderful escape into an entertaining world full of drama, first kisses, wrong assumptions and a hefty dose of curiosity. Prudence is the kind of girl many of us can relate to, and Lord Knave is a swoon worthy hero we can all fall in love with. A real page turner from start to finish! This was a fun one. I always like her books.